A new retail unit in Northallerton has won an award for its architectural excellence. 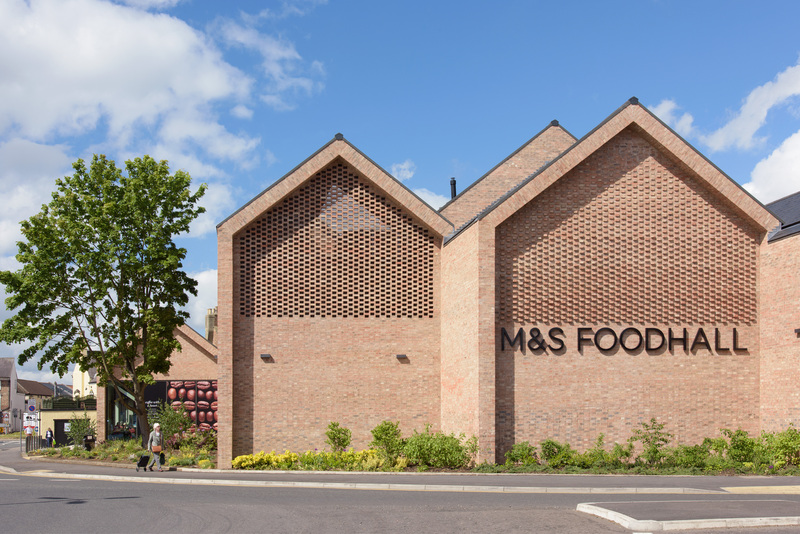 Marks and Spencers Foodhall, which was designed by GT3 Architects for Jomast Developments, has won a regional Royal Institute of British Architects (RIBA) award celebrating the best architecture in the UK and around the world. The store, which sits on the site of the former Rutson Hospital close to the town centre, was built to provide a more substantial Foodhall in the historic market town. Blending both old and new, the unit draws its inspiration from the existing urban grain of Northallerton while incorporating a contemporary twist. “This project clearly reflects the added value of thoughtful detailing and how well-designed spaces can have a lasting impact in enhancing the wellbeing of all users and create sustainable towns and places” said Simon Dunstan, Director at GT3 Architects. “The building is a testament to the commitment of a dedicated client, a visionary design team and an engaged local authority. The development makes a positive contribution to the High Street and perhaps more significantly makes a contribution to the legacy of the architectural heritage of Northallerton” he added. The new store opened in October 2016, following a period of planning between Jomast Developments, GT3 and Hambleton District Council to ensure the landscape was retained, conserved and enhanced. For 50 years the RIBA awards have championed and celebrated the best architecture in the UK and around the world, regardless of form, size or budget. “We’re thrilled that the new M&S retail unit in Northallerton has been recognised by the Royal Institute of British Architects” added Adam Hearld, Development Direct at Jomast Developments. “The project has had a significant impact on not only the aesthetics of the local landscape but also the residents of the town who now have access to the larger, dedicated Foodhall. The unit has significantly improved retail provision in the area as well as creating a number of employment opportunities”. This project is one of a number of retail developments which Jomast Developments has undertaken in the past 12 months, collectively worth over £20 million. RIBA Yorkshire Award winners will also be considered for a highly-coveted RIBA National Award, which will take place later this month.